Connect with Twitch to get started! Once you’ve connected to Twitch through this website, find an active integrated stream and load it up. When the streamer indicates they’re accepting suggestions, you can download their bridge design and alter it, or start from scratch, by using the in­-browser version of the game, and submit your own bridge to the streamer as a suggestion. 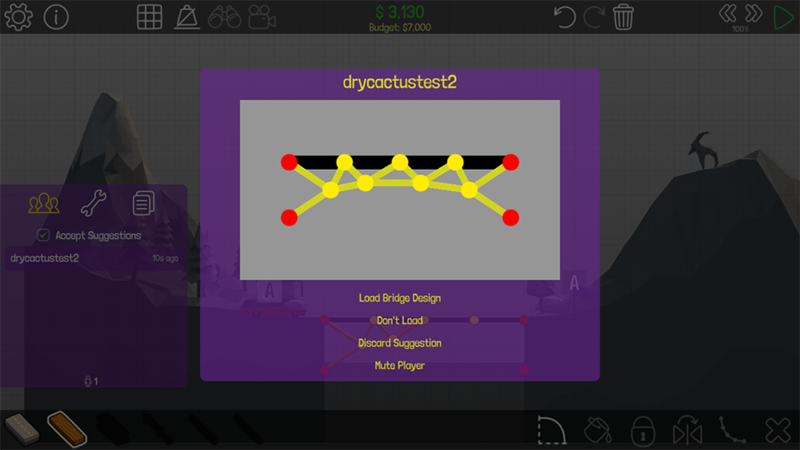 Unique Twitch integration that allows viewers to suggest changes and improvements to broadcasters’ bridge designs in real time. To enable the Twitch integration in-game go to Settings/Other and click the Twitch button. 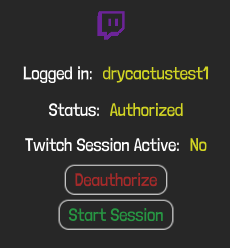 You will need to authenticate with Twitch the first time you enable the integration, once authenticated press the ‘Start Session’ button and wait for the confirmation. 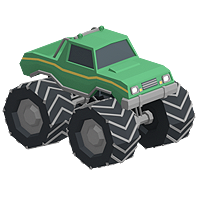 Note: It can take up to 60 seconds for Twitch to correctly inform Poly Bridge of a current active stream, so please allow enough time between starting the broadcast and attempting to start a session. 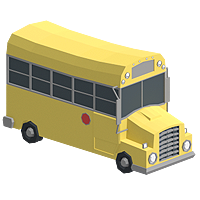 With a session active just load up a level and start building, works with Campaign, Workshop and Sandbox! You decide when the audience is allowed to submit suggestions, how frequently, and whether to restrict submissions to your subscribers only. 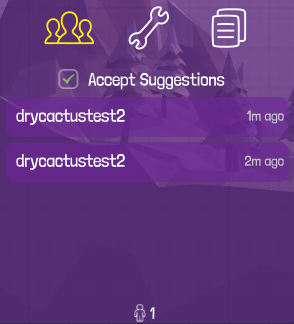 You will want to direct your audience to twitch.drycactus.com to start the collaborative building process, and a chatbot will also be regularly broadcasting the specific url for your session in the chat to encourage viewer engagement. The first tab, Viewer Suggestions, is where you can see a list of suggestions submitted by your audience. Viewers can only submit suggestions when you explicitly enable the ‘Allow Suggestions’ checkbox, which by default is off. By doing so you can stay in control of when you want your audience to engage and help you build, or when you prefer to go solo and have the audience take the backseat. 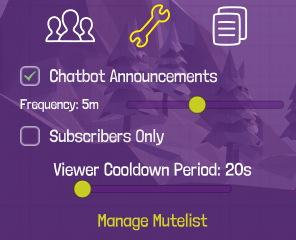 Keep in mind that viewer latency on Twitch floats on average between 10-15 seconds, so try to account for that when loading suggestions and interacting with your audience in general. With the preview open you can also use the Next and Previous buttons to quickly browse your list of suggestions. 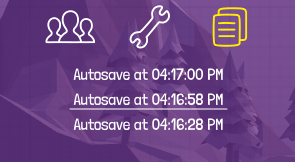 In the History tab you will find a number of auto-saves, which happen when loading a viewer suggestion. 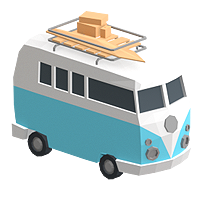 This allows you to safely load a viewer’s suggestion and then return to your previous design if you wish to do so, without losing any progress. This is also useful because it allows you to load a viewer suggestion, copy a section of it, return to your previous design and paste the new bridge section, effectively allowing you to mix’n’match from different viewer suggestions and add to your existing design. 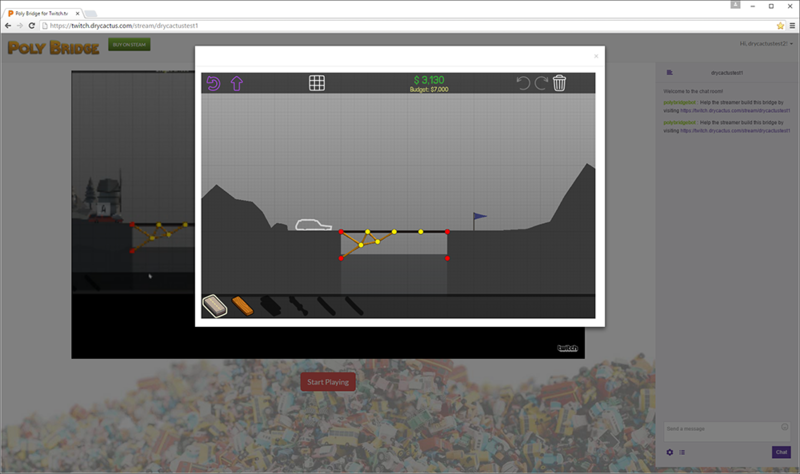 To give you an idea of how viewers interact with you, here’s a screenshot of the minified in-browser version of Poly Bridge they use to build. In this view, the stream and chat are embedded into the webpage, when you open suggestions a viewer can then hit the ‘Start Playing’ button which opens the build area in a modal view on top of the stream. Viewers have access to the same tools as you do, except they cannot run any simulations. Once they’re happy with what they’ve built they can click the ‘Submit Suggestion’ button which will send you the savefile. This is still in beta so please give us any feedback/ideas/suggestions you have so we can improve the experience for everyone!